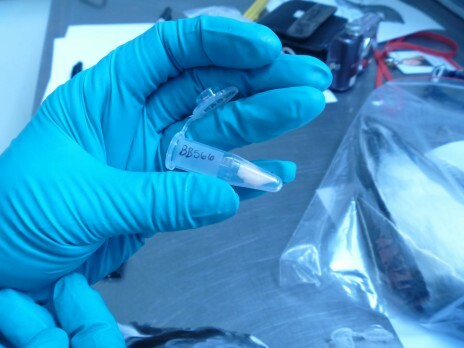 Genetic research requires a small amount of tissue from animal or plant specimens to be destroyed in order to obtain DNA. 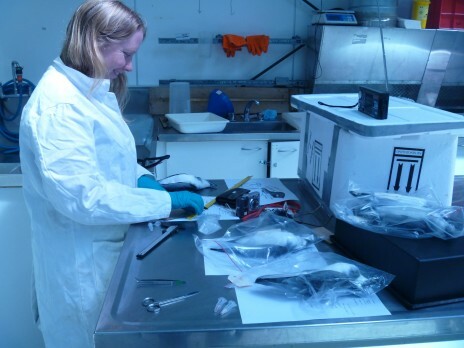 Te Papa’s bird team recently pondered the best way to sample tissue for DNA whilst causing a minimal amount of damage to seabird specimens. In July 2011 a period of unfavourable weather led to the mass mortality (‘wrecking’) of hundreds of thousands of prions. Over 600 of the prions that died ended up in the freezer at Te Papa. Te Papa bird scientists are researching these wrecked prions. Part of this research aims to use genetics to determine from which colonies these wrecked prions originated. Some of these prions will be sent to a taxidermist to be made into study skins to be incorporated into Te Papa’s collections, so we wanted these bird skins and feathers to have as little damage as possible. 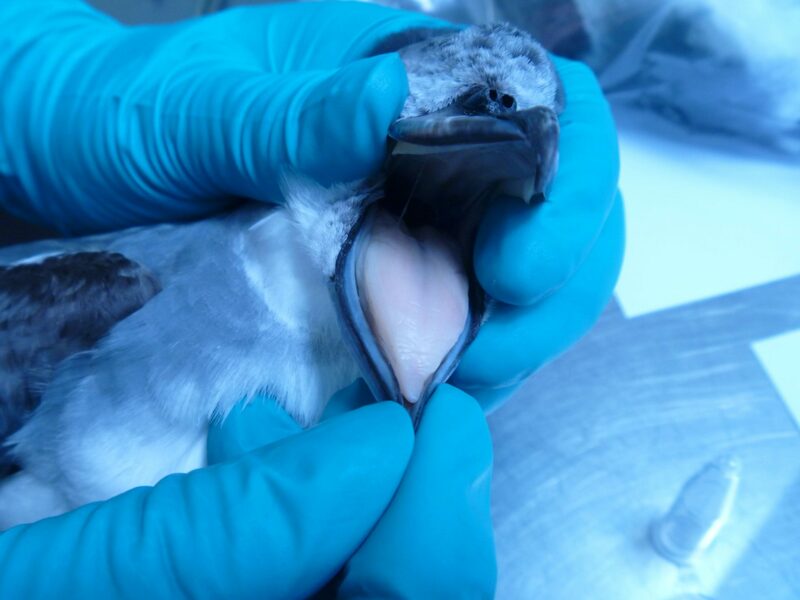 Sarah Jamieson, Te Papa’s prion dissector, came up with the idea of using the tongue as the sample for DNA; the tongue is removed anyway during the taxidermy process. Tongue of a defrosted broad-billed prion. A small piece of prion tongue tissue ready for DNA extraction. We have already shown that there is sufficient DNA in the tongue tissue for our genetic work. Thanks for the up date, Lara. I reckon the mass ‘wrecking’ must be the biggest (non-human) natural disaster in NZ recorded history, involving more individuals of one species than any other. I am glad some good will come out it, by way of the research Te Papa is doing. Do please publish the results.